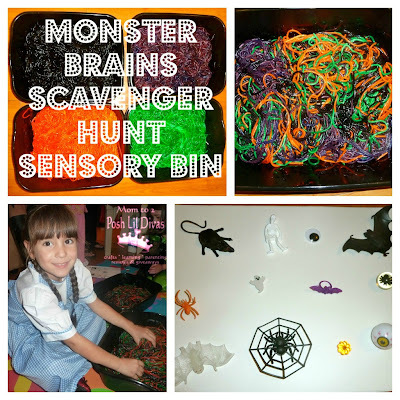 Yes, Halloween is officially over but we are having a Monster Themed week around here in Lil Diva Land so I had to share this with you because it was just so much slippery, slimy fun! 1. Cook spaghetti and run under cold water to cool. 2. Separate amounts as desired for colors. 4. Mix in spaghetti, seal and mash to color spaghetti. until you get all noodles saturated in their desired colors. 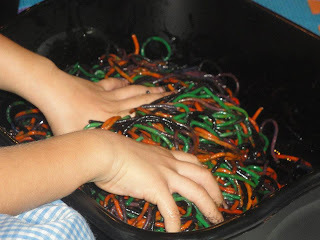 Tip - Add some olive oil to the colored noodles - this makes them extra slimy, keeps them from sticking and also helps with the food coloring on hands when playing with the bins. We were able to wipe hands easily. 7. Mix noodles into bin(s) - you now have your monster brains ready! 8. Add in your scavenger hunt items - be sure to hide them well throughout the bin. Tip: Have a photo of what they children are looking for. I set out all the items, took a picture and printed a copy for each group. 9. Let the kids have a blast finding the items! This is some serious slimy & slippery fun! This activity/game will be done again for sure! Jamie over at Hands On: As We Grow. As soon as I saw her fun Spaghetti Potion post - I was inspired! I LOVE this idea. So much fun! 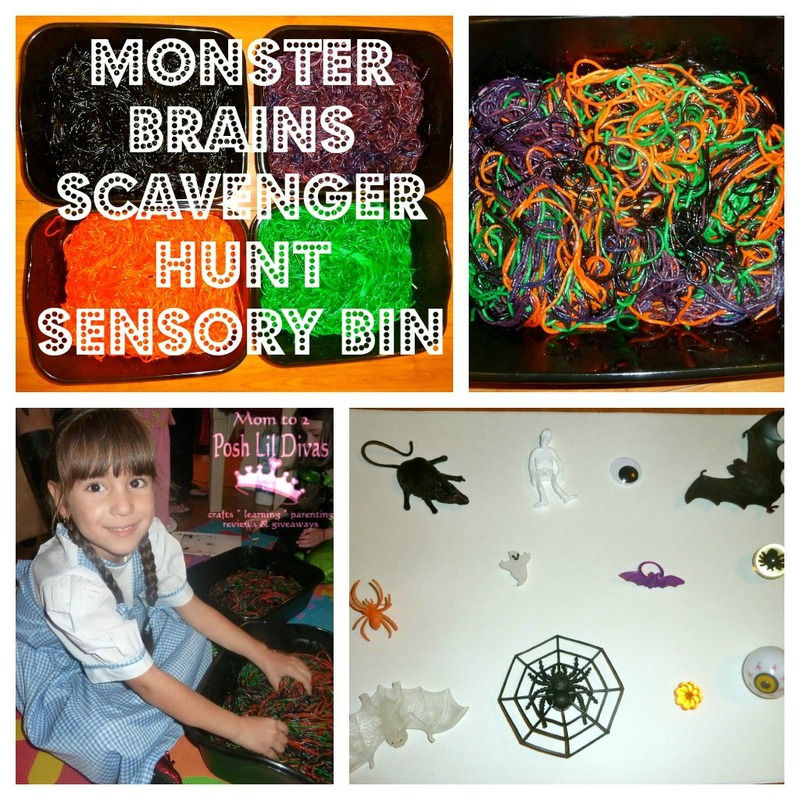 I would so do this in a sensory box for my toddler. I bet that was so much fun for everyone! I love the idea of making it into a scavenger hunt. Great job! I'm pinning this and sharing on Facebook/Twitter. I need to remember this! Looks like a great time!! Happy belated Halloween! That looks disgustingly fun! You are so creative! Thanks for linking to TGIF Linky Party! Zephrofel Zephrofel Male Enhancement: Le vieillissement est certainement une technique implacable que personne ne préfère, car elle soulève un si grand nombre de problèmes. Une de ces questions est la question du sexe. Zephrofel Male Enhancement En raison de l’augmentation de l’âge, la vitalité diminue, ce qui entraîne une mauvaise exécution sexuelle. Néanmoins, les impacts de maturation se sont révélés contrôlables. Il existe de nombreuses améliorations sur le marché qui traitent les problèmes sexuels et augmentent la génération de testostérone dans le corps. Étonnamment, il est difficile de choisir le bon type de recette d'amélioration pour hommes, car la plupart d'entre eux sont des pièges.